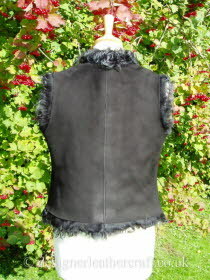 My tigrado gilets are cut to the same waterfall design as my toscana gilets. 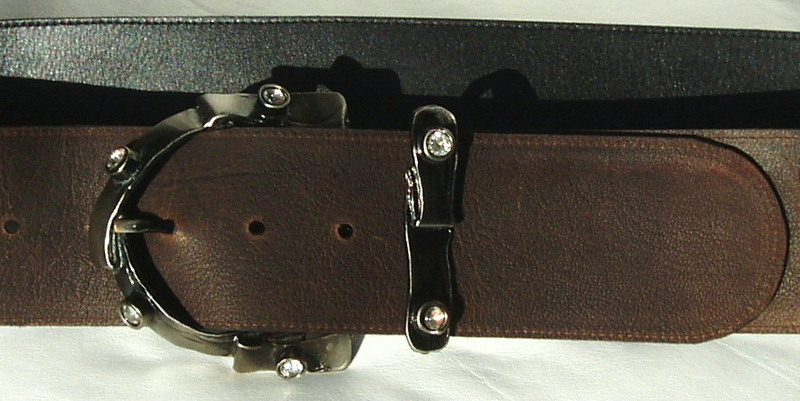 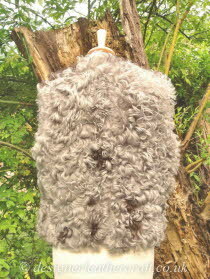 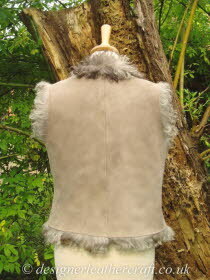 Tigrado shearling skins are similar in size to toscana shearling skins but have very curly wool. 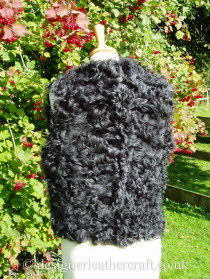 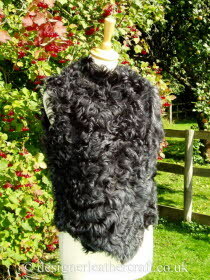 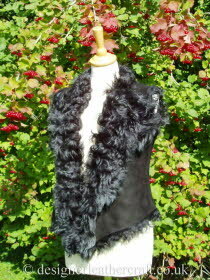 The black tigrado gilet shown has steel grey tips to the wool and a black suede finish to the skin. 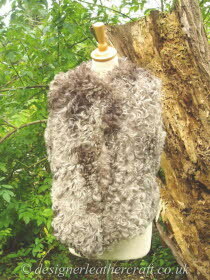 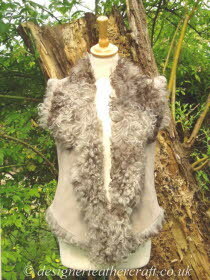 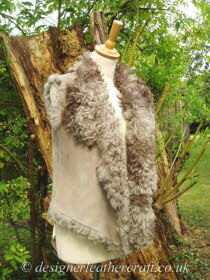 The taupe gilet is in pintos tigrado which is left showing the natural markings in the wool.